The following is a guest blog by Patti Poppe, president and chief executive officer of CMS Energy and Consumers Energy. Electric vehicles (EVs) are in the fast lane across the U.S. That’s why we’re working to create the infrastructure that Michigan EV drivers need — today and in the years to come. 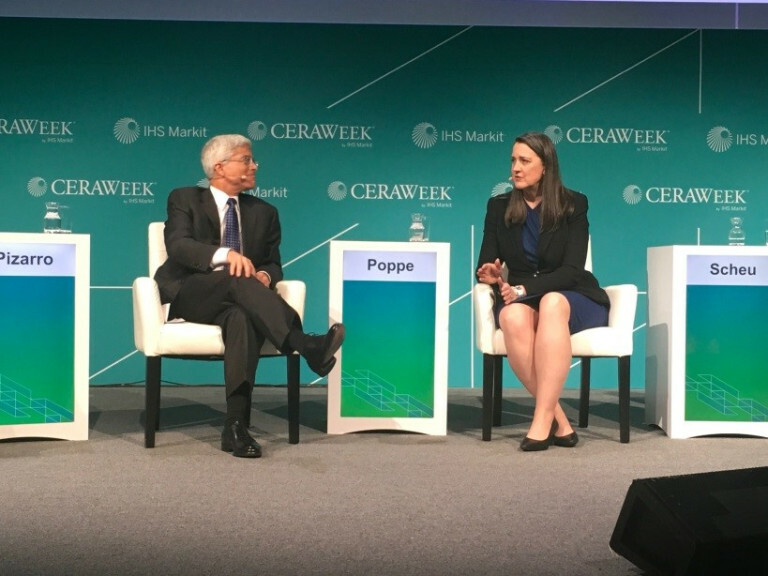 I was privileged to discuss how our industry is working to electrify transportation at CERAWeek, one of the world’s premier energy events. The conference presented a great chance to share thoughts and ideas about electric vehicles, which can help drivers save money at the pump and reduce our carbon footprint by lowering emissions. That fits snugly with our plan to create a sustainable energy future for the state we’ve served for more than 130 years. A recently approved program called PowerMIDrive to encourage the development of charging stations across Michigan. The three-year, $10 million effort includes rebates for residential customers who install chargers at home and site hosts who want to install chargers and ‘fast chargers’ in public places across our territory which is set to launch this spring. Buying or leasing 100 electric vehicles for our fleet over the next five years. A pilot study launched in November 2018 to determine how to most efficiently deliver electricity to customers who own EVs. The study, which includes employees of General Motors Co. and Consumers Energy who own electric cars, has three phases. The first phase will determine how much power EVs use. The second will focus on when the cars take a charge. We want to spread out EV use to avoid peaks, like those created by air conditioners. For example, EVs on one block could start to charge at 1 a.m., while EVs on the next block would start an hour later. Using either the car’s computer or a smart charger, EV owners control when the cars charge. The study will also examine those two options to see if one is better. The third part of the pilot will simulate a demand response — a scenario like the hottest day of the summer, when some customers are asked not to run their air conditioners.